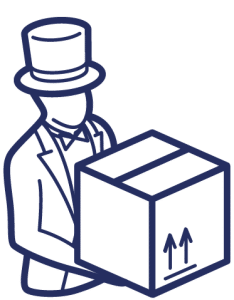 Whether you’re moving home, relocating your business, or simply need a large item moved from one destination to another, Gentleman & A Van have a solution to tailored to suit your needs. That’s because our dedicated team can handle any type of move in London and the surrounding areas. In addition, we offer a secure self-storage facility in London, with units designed to fit whatever you have in mind. We have a fleet of vans of varying sizes, two lorries, a team of fully trained removals experts, 13 years’ experience in the removals industry and a 35,000 square foot secure self storage facility. We established Gentleman & A Van following a disastrous move within London. That it to say we realised there was a desperate need for a trustworthy and reliable removals ﬁrm. So our vision was to build a removals company and storage business that treated your home and your possessions as if they were our own. 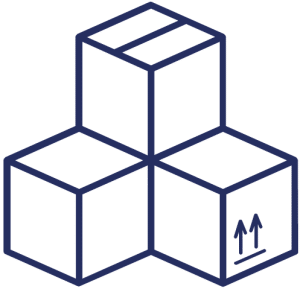 As a result, with over thirteen years’ experience in removals in London’s busy property market, we have helped over 50,000 people move to date and have recently acquired a state-of-the-art self-storage facility in Wimbledon. We have cultivated our excellent reputation by providing unrivalled levels of service. But don’t just take our word for it, read our reviews from home movers who have experienced the Gentleman & A Van service. "They were first class and the best home removal firm I have worked with by a margin. They were true gentlemen and I cannot recommend them highly enough!" When you are moving home, you need a team you can trust. At Gentleman & A Van we have helped thousands of families move home in London and we can offer a wide range of services to make this happen. For instance, we can pack your home for you, provide a professional, efficient removal service, and even unpack and take away the boxes. Space is often in short supply in the average London home or office. So if you need somewhere to put all those items that you want to keep, but don’t need every day, then look no further. 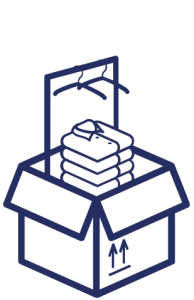 Gentleman & A Van have recently moved in to a large self- storage facility in Wimbledon with secure units for everything from your skis to your grandmother’s art collection. Sometimes you need a little help getting items from A to B and that is where Gentleman & A Van can help. We’ve got an experienced removals team who have moved all manner of items in and around London and throughout the UK. So, whether it’s a Piano or a Picasso, if you have something that requires a moving van and a careful team, then don’t just get a man and a van, hire a Gentleman & A Van to help. WHY CHOOSE GENTLEMAN & A VAN? We offer a premium service, but never a premium price. We have thirteen years’ experience and have completed over 50,000 moves of different sizes. Read our reviews to ﬁnd out what our clients think of our service. For every house, ﬂat, or ofﬁce move, wherever necessary, we will send a surveyor to view the property and provide a ﬁxed price quote for your entire move, so you know what your costs are upfront. Our team are smart, uniformed, and fully trained. They are all full time employees and we never use agency staff. That’s so you know you will always get the Gentleman & A Van service. We take care of our team. Some have been with us from the very beginning, so they take pride in ensuring your move goes smoothly. Our vehicles are well maintained and fully insured. So we can offer a range of sizes to ﬁt your requirements, including two new lorries for larger moves. We are members of the British Association of Removers. "Thank you for the excellent service that your company provided when my family and I moved house the other day. All the guys who carried out the move were punctual, polite, effficient and experienced. The entire process was carried out with a degree of professionalism, that I’d rarely experienced before from removals companies."